Those who live along the "wet coast" – which is what people living in Puget Sound or the lower mainland of British Columbia and Vancouver Island affectionately call their home – might think that they live in the wettest place on Earth. Then again, people living in the Amazon rain forest might think that there lush and beautiful home is the dampest place in the world. When it comes to describing locations on planet Earth in terms of "wet", some clarifications are needed. What we are talking about is average annual precipitation – i.e. rainfall, snow, drizzle, fog, etc. – measured in mm (or inches). This is necessary because otherwise, the "wettest" place on Earth would be the Mariana Trench, which has over 10,000 meters (36,000 feet) of water on top of it. 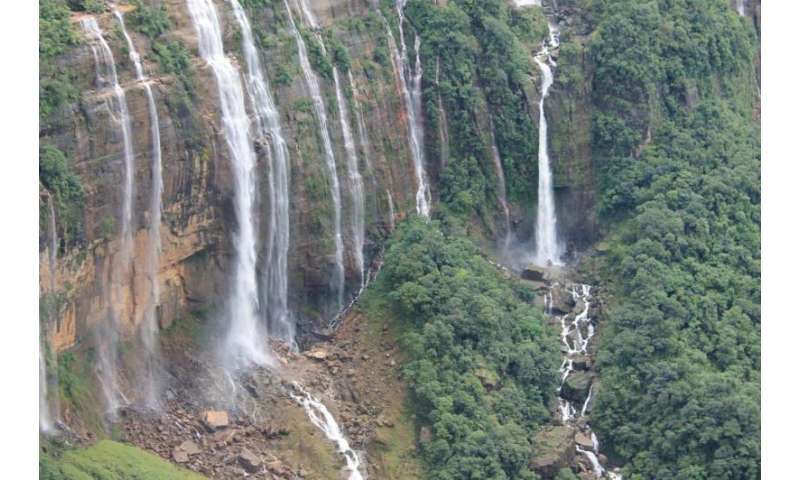 However, it is often in competition with the neighboring town of Cherrapunjee, which is located just 15 km (9.3 mi) to the west of Mawsynram in the East Khasi Hills district in northeastern India. The city's yearly rainfall average stands at 11,777 millimetres (463.7 in), so it too has held the title. Surprisingly, the high rainfall is a result of the region's elevation and not the monsoon season alone. Huge amounts of warm air condense and fall as rain when they encounter the Khasi Hills. The topography of the region forces the very moist clouds up and down, forcing them to empty their accumulated water over the region. Beyond northeastern India, there are several other locations on the planet that experience over a meter (3.28 feet) of annual precipitation. 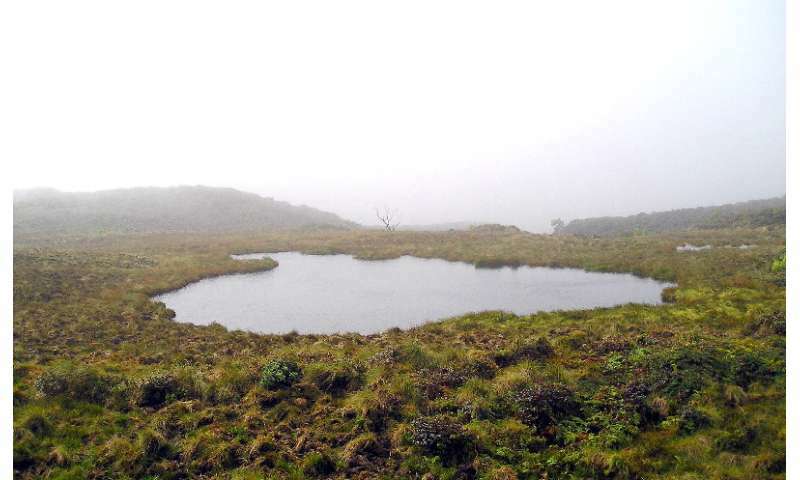 For instance, the town of Tutunendo, Colombia, experiences an average of 11,770 mm (463.38 in) of annual rainfall. The area actually experiences two rainy seasons a year, so precipitation is pretty much the norm. Next up, there is Mount Waialeale, a shield volcano located on the island of Kaua'i on the Hawaiian Islands. As the the second highest point on the island, its name literally means "rippling water" (or "overflowing water"), and for good reason! This mountain has had an average of 11,500 mm (452 in) of rainfall since 1912. 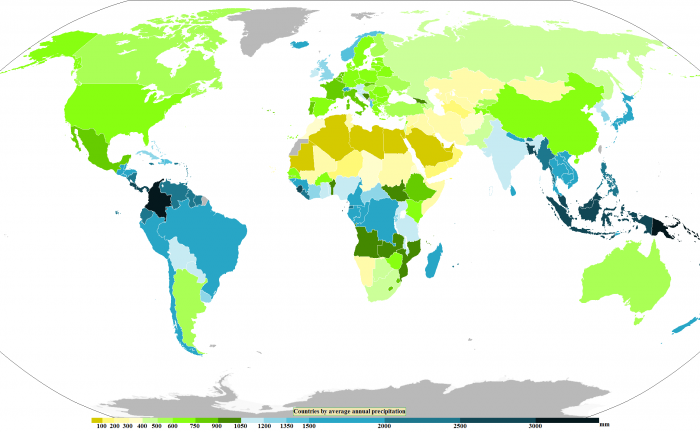 As already noted, the "wettest place on Earth" changes over time. This should come as no surprise, considering that weather patterns have been known to shift, not only in the course of an average year, but also over the course of centuries and millennia. Nevertheless, those places that experience over a meter of precipitation are generally found within the tropical regions of the world, places known for experiencing intense and prolonged rainy seasons, and where lush tropical rainforests have existed for thousands of years. Here is a recent list of the top 10 locations. But with anthropogenic climate change becoming a growing factor in planetary weather systems, this too could be subject to change. In the coming decades, and centuries, who's to say where the most precipitation will fall on planet Earth?